Research shows that cannabis could play a huge benefit here, but will policymakers listen? I ran into an old high school friend when I was shopping at Costco recently. We hadn't seen each other for over a decade, but we were good friends in school, so we have kept tabs on each other from afar. He is doing great in a lot of ways, but his dad has been dealing with some health issues which unfortunately necessitates a kidney transplant. His dad is on a waiting list, and I really hope that he finds a match soon because he has always been a great dad, coach, and friend. Organ transplants are a tough thing to go through, but they are a vital part of saving many people's lives. A successful transplant helps someone continue their life, and for obvious reasons every measure should be taken to ensure that a transplanted organ isn't rejected. Immune cells have been shown to express cannabinoid receptors and to produce endogenous ligands. Moreover, activation of cannabinoid receptors on immune cells has been shown to trigger potent immunosuppression. Despite such studies, the role of cannabinoids in transplantation, specifically to prevent allograft rejection, has not, to our knowledge, been investigated previously. In the current study, we tested the effect of THC on the suppression of HvGD as well as rejection of skin allografts. To this end, we studied HvGD by injecting H-2k splenocytes into H-2b mice and analyzing the immune response in the draining LNs. THC treatment significantly reduced T cell proliferation and activation in draining LNs of the recipient mice and decreased early stage rejection-indicator cytokines, including IL-2 and IFN-γ. THC treatment also increased the allogeneic skin graft survival. THC treatment in HvGD mice led to induction of MDSCs. Using MDSC depletion studies as well as adoptive transfer experiments, we found that THC-induced MDSCs were necessary for attenuation of HvGD. Additionally, using pharmacological inhibitors of CB1 and CB2 receptors and CB1 and CB2 knockout mice, we found that THC was working preferentially through CB1. Together, our research shows, for the first time to our knowledge, that targeting cannabinoid receptors may provide a novel treatment modality to attenuate HvGD and prevent allograft rejection. If cannabis can help reduce the likelihood of an organ being rejected, shouldn't medical professionals encourage cannabis use by patients? One would think so, but sadly, that's not the reality of the situation. I get heartbreaking e-mails all the time from patients that are on the wait list and are put in a very horrific situation in which they are forced to choose between using medical cannabis or being on the transplant list. A longtime, prominent cannabis activist in Oregon named Jim Klahr (RIP, freedom fighter!) was on the organ donation waiting list for quite some time before he passed, and he had to refrain from consuming cannabis because he would have been taken off the donate list. Here you had a wonderful person who was forced to suffer more than he should have because of a harmful, ridiculous policy. Jim could have alleviated quite a bit of his suffering from using medical cannabis, but refrained because he knew it would crush his chances of being matched with a donor. It was absolutely heart crushing to hear him talk about it at activist gatherings that I attended. 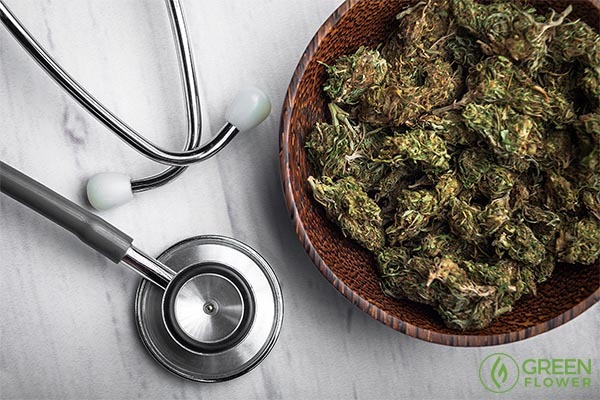 Just over a year ago California Governor Jerry Brown signed AB 258 which prohibits discrimination against medical cannabis patients in the organ transplant process unless their doctor specifically feels that cannabis use would be harmful. That doesn't completely prevent discrimination from happening in California, but at least it gets rid of the automatic ban. Hopefully we see more states get on board with reform. No one should have to suffer like Jim Klahr did, and countless others, when there's a better way.